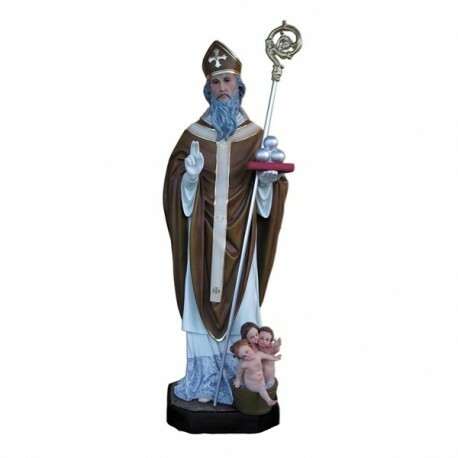 Statue of Saint Nicholas with Mitre and Children of 170 cm. 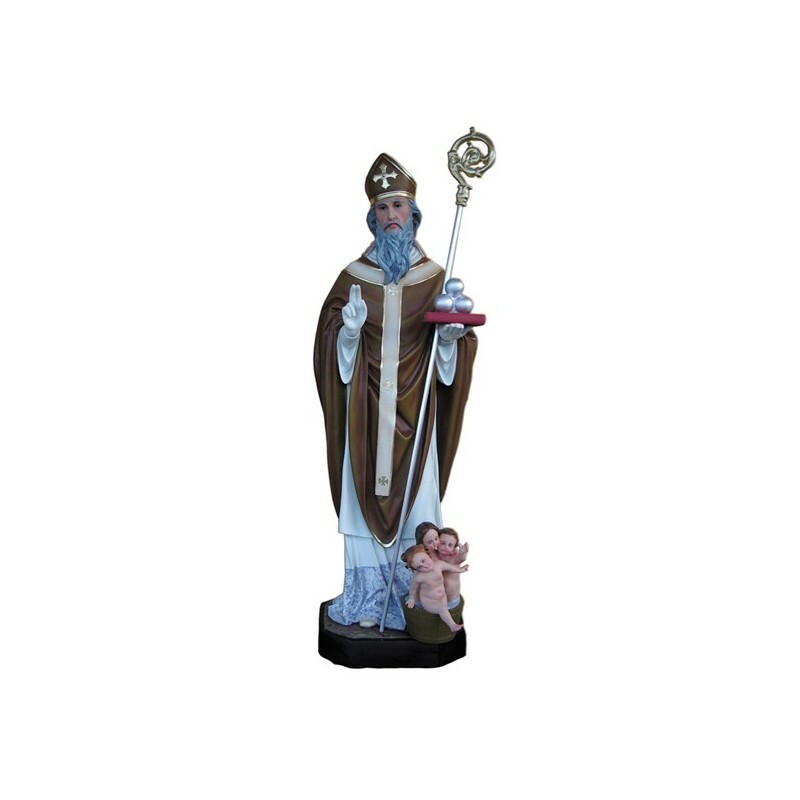 Statue of Saint Nicholas with Mitre and Children, 170 cm of fiberglass, handmade in Italy. The bishop Saint Nicholas of Myra is commemorated on the 6th of December. He died around 350 and he is one of the most popular saint of the Christianity. His cult is principally based on the legenda. We know only that he was bishop of Mira and that his relics were stolen in 1807 by some italian merchants and they are preserved in Bari. Now a days Nicholas is venerated as the saint patron of the sailors, of the prisoners and especially of the children. It is narrated that during a trip, pausing in an inn, he discovered that some children were kept with the pickle in a tub. He resuscitated them. In another story it is told that, when Nicholas came to know about a desperate man who wanted his daughters to whore to obtain a dowry for his family, he intervened and he gave three sacks of golden coins to the man, saving the purity of the three maidens. In the Middle Age there were many festivities in honor of this saint. Saint Nicholas is the patron of Bari and Russia. In the traditional iconography he is illustrated with episcopal clothes, with a tub at his feet with three children, or with a tray containing three sacks or three golden balls.